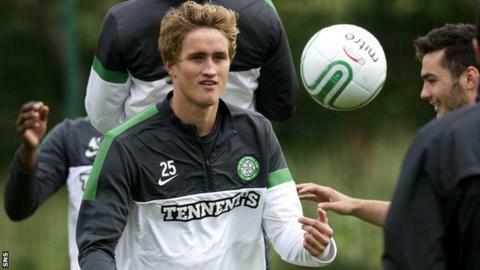 Thomas Rogne will be fined by Celtic after being quoted talking about his contract negotiations while on international duty. Press reports claimed the Norway player described his current contract offer as much worse than his teammates. Celtic manager Neil Lennon says Rogne was misquoted but says he will be fined for discussing club business. Rogne joined Celtic from Stabaek in January 2010 on a three-and-a-half year deal and has two international caps.